Nine blocks for the lotto, and one for donation. 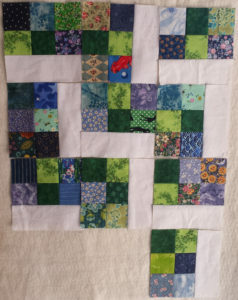 These were fun, and a nice way to use up a (tiny) fraction of my box of 2.5″ squares! Thanks Kristin, your blocks brings the total to 138. Good luck!